Cleveland's Nighttown Restaurant offers a high powered lineup of jazz stars in Jan. - Feb. 2017 The restaurant is located in Cleveland Heights, on the east side of the Cleveland area, at 12387 Cedar Rd., Cleveland Hts., phone 216/795-0550, website www,nighttowncleveland.com. The sound is good, as is the food, cover charges are generally reasonable, and the atmosphere is intimate. Tues., Feb. 7, 7 p.m. Nicki Parrott Trio Cover charge $20. Vocalist & Bassist from Les Paul Trio leads All-Star Trio Live @ Nighttown! Featuring: Nicki Parrott-acoustic bass & vocals, Bobby Floyd-piano, & Bob Breithaupt-drums. Nicki has performed at most major festivals around the globe including the Mary Lou Williams Jazz Festival, Newport Jazz Festival, Jazz in July at the 92nd Street Y, Detroit Jazz Festival, Jazz Ascona and Bern Jazz Festival in Switzerland and many others. A knockout bassist and singer, both. Bobby Floyd's talent has launched him into a very rewarding career, putting him in demand and making him one of the favorite, first-call pianists/organists for many well known artists. 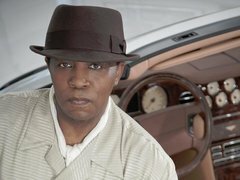 He has traveled the world accompanying Ray Charles on piano and organ. He currently makes guest appearances with some of the most distinguished orchestras, including The Boston Pops, The Rochester Philharmonic, and The Detroit Symphony. He is presently the feature pianist for the world-famous and legendary Count Basie Orchestra. He also tours nationally and internationally as organist for the Grammy Award winning Dr. John. Weds., Feb. 8, 7 p.m. The Cookers. All-star octet with Billy Harper -- tenor sax, Donald Harrison -- alto, Eddie Henderson -- trumpet, David Weiss -- trumpet, George Cables -- piano, Cecil McBee -- bass and Billy Hart -- drums. Each member a star in his own right, this group brings together many years of making great music in a range of creative ensembles. Each brings his own recognizable approach to the music. And they're all in one room, making music together. 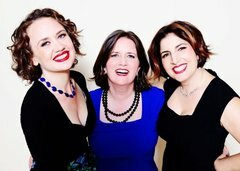 Thurs., Feb. 16, 8 p.m. Dutchess,a rising NYC Vocal Trio. Amy Cervini, Hilary Gardner, Melissa Styleinou, supported by Carmen Staff -- piano, Matt Aranoff -- bass andJared Shonig -- drums. Two high-end players on the music scene come to the Nighttown stage.